Jacquelyn Ward and Ana Maes saw an opportunity in the wedding dress market after attempting to sell their used wedding dresses online. Together, the two opened New York City’s only consignment shop for wedding dresses. Today, Our Story Bridal sells pre-owned wedding dresses from high-end designers such as Vera Wang, Monique Lhuillier, and Carolina Herrera. Jacquelyn Ward and Ana Maes want to give wedding dresses a second life. The two women co-founded Our Story Bridal, New York City’s only consignment wedding dress boutique, after struggling to sell their own used wedding dresses. For Meas, it took two years after her wedding to sell her wedding dress, and Ward had a similar experience. “Girls were coming to my cramped New York apartment, trying on the dress in front of my husband and dog, [while I was] trying to get money to make sure I wasn’t scammed,” Ward told Business Insider. 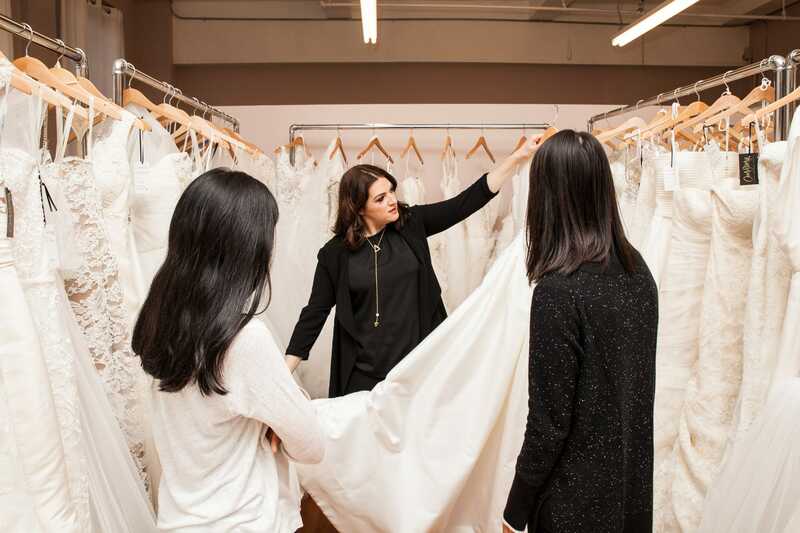 Ward and Maes, who met while attending Wharton Business School, knew there had to be a better way for savvy brides who wanted a designer wedding dress at a fraction of the cost – and brides who wanted to sell their dresses post-wedding. 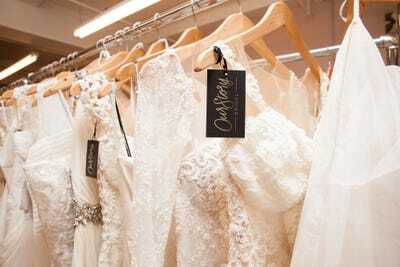 After launching a successful pop-up shop in Manhattan with about 40 pre-owned wedding dresses, the two had a waiting list of over 300 brides wanting to see and try on the used dresses. 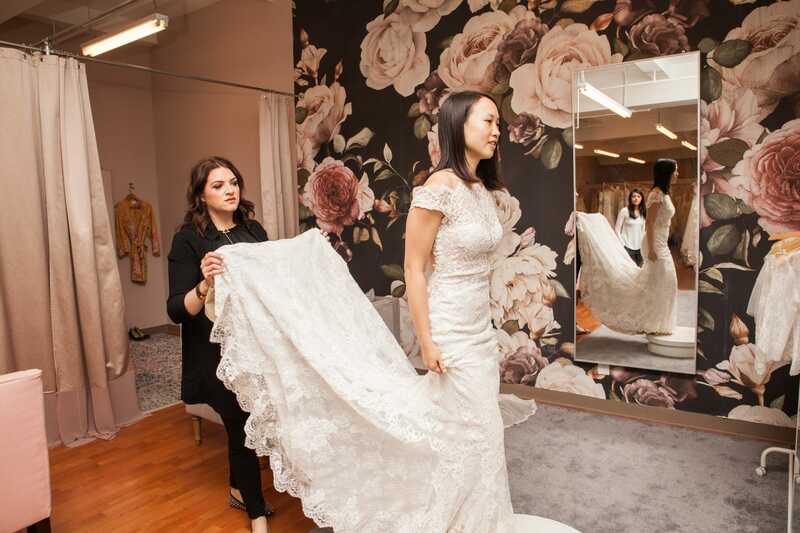 Last May, they opened a brick and mortar location that provides brides-to-be the luxury of shopping in a small, boutique-like store, filled with over 200 used wedding dresses. Designers such as Vera Wang, Monique Lhuillier, and Carolina Herrera line the racks with heavy discounts – anywhere between 30% to 80% off retail price. The average cost of a wedding dress in the US is $US1,564,according to The Knot, but designer wedding dresses carry much higher price tags. 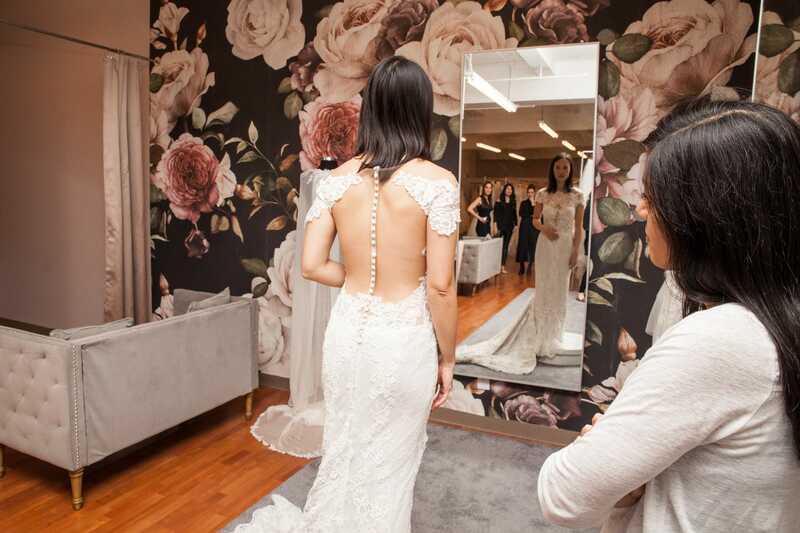 Both Ward and Maes tout the success of Rent The Runway, which allows customers to rent designer clothing for a fraction of the retail cost, for helping change how consumers view pre-owned wedding dresses. While visiting the location, we documented bride-to-be Amy Pan, who was shopping for her upcoming wedding. Although Ward and Maes accept wedding dresses from sellers across the US, most of their inventory comes from brides in New York City. They only take dresses from the last three years, with a focus on high-end designers such as Vera Wang, Galia Lahav, and Inbal Dror. “[Our dresses] reflect the diversity in the city,” said Ward. Sarah Jacobs/Business InsiderWedding dresses at Our Story Bridal. Because the store is a consignment shop, the sellers are paid once a dress is sold. Wedding dresses can be on the rack for six months, and Our Story Bridal takes 35% of the commission on sales. 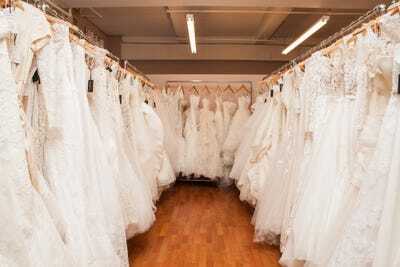 All wedding dresses are dry cleaned before going out onto the floor. 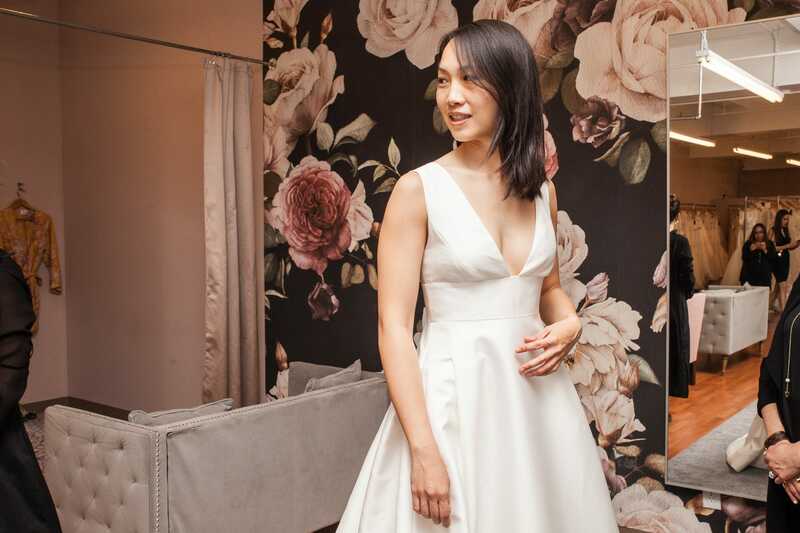 Bride-to-be, Amy Pan — who works at a tech startup — had already visited six bridal stores before coming into Our Story Bridal. She had heard about the shop through friends. “I like the fact it’s consignment, and that they have a really good selection. Some of the other off-the-rack places…have samples from a long time ago and so you really have to dig,” she said. 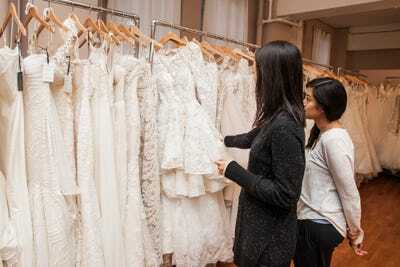 With prices that range between $US1,500 going up to $US6,000 — most of the wedding dresses on the floor are priced between $US1,500 and $US3,000. Our Story Bridal also provides an in-house seamstress, and a stylist that helps pull various dresses for the bride to try. For Ward and Maes, fine tuning the shopping experience has been key. “People realise that you can get great quality [used] dresses and it’s OK — they’re dry cleaned, they’re professionally cleaned, [and] it’s fine,” said Maes. Sarah Jacobs/Business InsiderOur Bridal Story, co-founders Jacquelyn Ward and Ana Maes.